JUDAS PRIEST are to be inducted into The Hall Of Heavy Metal History at Wacken Open Air festival in Germany next Thursday, 2nd August 2018. The induction will take place in a private ceremony at Wacken just before PRIEST hit the Main Stage to play one of the biggest shows of their current Firepower world tour. 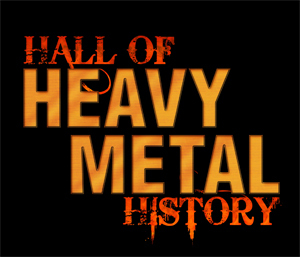 The ceremony will be hosted by Hall Of Heavy Metal History board members Whitney Alyson Ribbins and Steve Göldby. "JUDAS PRIEST are thrilled and honoured to accept induction into the Hall Of Heavy Metal History and be amongst so many of our friends. This also sends a great message of inclusion for the Metal community around the world and keeps us defending the Metal faith together." PRIEST recently released a brand new video for "No Surrender", one of the many standout tracks from their latest album, Firepower, which has become one of the most successful of their entire career, landing in the top five of seventeen countries, including their highest chart placement ever in the US. ""No Surrender" captures the true Metal fighting spirit and Metalheads around the world find a united voice within the message of this song," say the band. "When you honestly believe in yourself and live your life the way you have the right to with no surrender, then nothing will ever stop you from living your dream." DORO PESCH will also be inducted into The Hall Of Heavy Metal History, on-stage at Wacken on the evening of Friday August 3rd, straight after her Main Stage special anniversary show. "What an honour to be inducted into the Hall Of Heavy Metal History. I am so excited!! What makes this induction even more special is the fact that it takes place in front of 80,000 Metal maniacs right after our 35 Year Anniversary Show at the world famous Wacken Open Air in my home country of Germany!" Doro will release her new album, Forever Warriors - Forever United on August 17th via Nuclear Blast. It's her first ever double album and fans can expect twenty-four brand new songs, including some stunning surprises. The new single, "If I Can't Have You - Nobody Will", was released a few days ago. It's an extremely powerful duet with AMON AMARTH's Johan Hegg.